1, Doors have a floor clearance of 25 mm. 2, Three part interchangeable movable gland plates for easier cable entry. 10, standard modular mounting holes are designed on a 25 mm pitch pattern ; easily mounted. 11, The light inside enclosure is easily mounted and checked enclosure interior components(you can choose or not ). 13, Standard 19inch bracket mounting . 14, Top mounting fan assist air free in enclosure . Protection rating to IP44 (you can choose or not ). 15, the base can be easily removed and mounted (you can choose or not ). 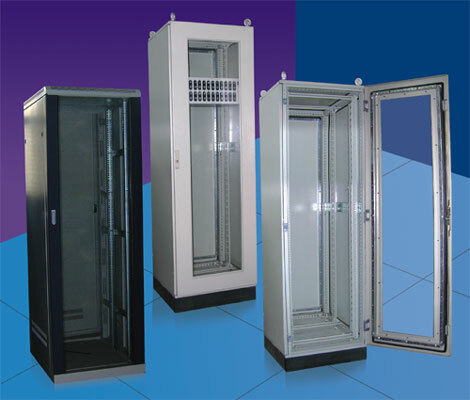 16, enclosure frame : side panels ,front plate ,rear panel ,roof plate and gland plate all of these can be easily removed and mounted . 17, transport castors ,leveling feet (you can choose or not ). Copyright 2005 CHENGJI. All rights reserved. Shanghai chenji electrical co.,ltd has the final explanation right of the content of website.